In India we only know about two careers doctor and engineer. However there is a whole world of career opportunities except these two professions. In recent years, with the expansion of economy there has been an upsurge in different kinds of jobs like service industry, manufacturing etc. Today apart from being a doctor or an engineer you could be anything like a chef or a designer. But there are many other lesser known careers that normal people don’t know about. Hence, I wrote down this article to tell you some of the lesser known careers that you can choose. We all know about call center and how to get a job there. However very few know about the language trainers these BPOs need. In order to train efficiently the workforce companies hire English language trainer that can train new recruits in different accents like American, British, Australian etc. If you have worked in call centers and have some experience then you could look for a career as an English Language trainer for BPOs. You do watch crime serials on television. After every crime scene you see people collecting and searching for evidences within the perimeters of yellow tape. Coroner or forensic technicians are in great demand by the law enforcement agencies. If you have a bachelor degree then you can go for this job. You also need to have some legal knowledge and lab experience. The job is lesser known but a great career opportunity. Being a connoisseur is nothing new but you can make a career out of it. You could be a chocolate or a coffee connoisseur. There are many restaurants opening up in different cities and you could be a connoisseur helping them to make best chocolate or coffee. Today every great restaurant in the world needs a professional connoisseur and the career is lesser known because still it is not in mainstream. With the pace of globalization there will be more and more need of interpreters and translators. Whether it is big companies or government they need interpreters and translators to get things done. If you know different languages of the world like Japanese, Chinese, Spanish, German then you can easily find a job as an interpreter or a translator. This career should be your serious option and you can end up with a high paying job. Hundreds of TV channels have mushroomed over past few years. And they are still continuing to do so. Media Analyst or Media statistician is a great career opportunity but it is lesser known to young graduates. You need to collect data and analyze them. If you have degree in mass communication then it is really good. The job really pays you well and prospects are great too. We have heard about all sorts of counselors like marriage counselor or career counselor but relationship counselor is a real one. You can help building a relationship between husband and wife or between parents and kids or siblings. There are people who are really in search of good relationship counselors. You can consider relationship counselor as your serious career opportunity because of change in our societal behaviours. Here we are talking of ethical hacking also known as white hat hacking. White hat hackers are in great demand because they are needed by educational institutions, banks, government, hospitals etc. You have to break into the systems and get the information out. You need to defend their system from malicious software programs and other ill intent hackers. 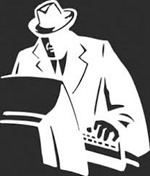 In the age of cyber war white hat hackers are hired by government to save their security systems or break into enemy’s. The career is lesser known but hold a great future. 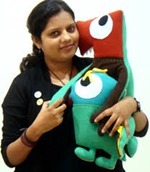 We know about fashion designers or interior designers but what about toy designers. You could design toys for world’s best toy companies like Lego. Being a Legoland designer could be a great career option if toys fascinate you. Yes, job is not readily available but if you have passion then you could be a toy designer. Being a party or marriage organizer is nothing new but still this is not looked as a serious career option. I don’t say that party or marriage organizer job is lesser known but still it is not in the mainstream. Similarly funeral organizers are lesser known but it could pay you well and one could take it as a serious career option. I am not spreading superstition here but there are people in India who do believe in astrology and thinks like stars and our future related to it. Astrologer make huge amount of money if they are successful and have contacts. But setting up this is a professional career would be difficult but the future is great. In India there are many well known astrologers and you could be one of them. Territorial army is also a lesser known career but you cannot take it seriously because it is just for short time. However if you want some adventure and want to learn something new about the country then you could join territorial army. It is tough one, if you do not want to join then leave it. 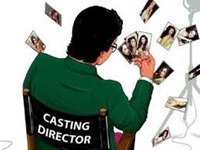 The last lesser known career opportunity in our list is casting director. Here the job is casting actors and actress for TV commercials, movies, TV series etc. You have to arrange the auditions and events for agents to book these actors and actresses. The job is really exciting and money is also great but still it is not for everyone. So these were 12 lesser known careers that you can go for. You can choose a career that suits you best. Previous articleHow to Choose a Career (Practical Way) of Your Own Choice? Next articleOnline Education Course are the Course You Should Opt Now!